Google is rolling out an update to its Google Photos app for Android with a new search bar. The app places the search bar at the top, replacing the floating action button that previously adorned the lower corner of the app. Photos users can now search with a single tap and drop-down options make it easy to find faces, places, or photo types from the library. Google Photos also added the ability to customize the movies Photos automatically creates from events with additional photos, videos, and music. Last, the revised app makes it possible to rename or delete devices folders, and to manage photos stored on SD cards with moving and copying actions, and creating new folders. 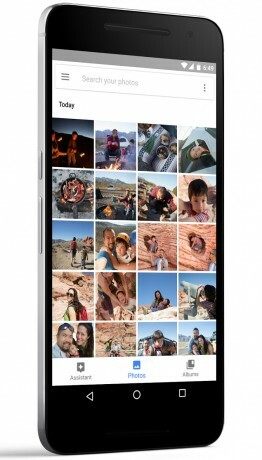 Google Photos for Android version 1.19 is free to download from the Google Play Store. Google say these changes will reach the iOS Google Photos app soon. Twitter today said it is bringing stickers to its Android and iOS mobile apps. Twitter users can browse through Twitter's library of hundreds of accessory, emoji, and prop stickers to "make your photos more fun." Twitter says people can use multiple stickers on a single photo, as well as resize and rotate the stickers to better fit the image.